Leo is just like any kid. He likes to draw, make snacks, and have fun. The only problem with Leo is that he is a ghost and most people can't see him. Invisible and lonely, he meets Jane, a kid with tremendous imagination and an open heart who invites him to play. And that's when their friendship and fun-filled adventures begin. Featuring 9 original songs written by Ken Clifton with a libretto by Mr. Clifton and Ian Thomson, Leo, A Ghost Story is the delightful new musical for the entire family. All Tickets are $10 and include our complimentary KIDspot activity area after the show sponsored by Marine Bank & Trust. Note: KIDspot is not available after 10am shows. Enjoy character meet n' greets, games, prizes, snacks, art and crafts with Riverside Theatre Kids shows. Check your ticket for times. Call 772-231-6990 for more information. 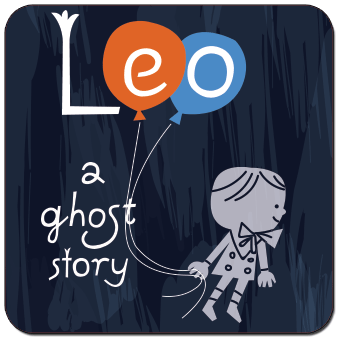 Broadwayworld.com: Riverside Theatre Announces LEO: A GHOST STORY - READ MORE! 'Leo, A Ghost Story' returning to Riverside - READ MORE! Leo: A small and kind Victorian ghost. He longs for friendship and adventure that he reads about in his stories. Jane: An energetic and charming young girl. She loves her imagination to discover big adventures. Ruffs: A laid-back dog and Jane’s imaginary friend. Mews: A sassy cat and Jane’s imaginary friend. Officer Vitale: A job obsessed, police officer in the city. Mimi: Boss of the Sneak Thieves. Vinny: A bumbling Sneak Thief. Dragon: A big, mean, scary dragon who protects gold in his cave. Mom, Dad, and Son: A rude family that moves into the house where Leo has been living. Scientist: Local ghost hunter at 1-800-Get-a-Ghost, has never actually seen an active ghost. Priest: A kind old man, has never seen a real ghost. 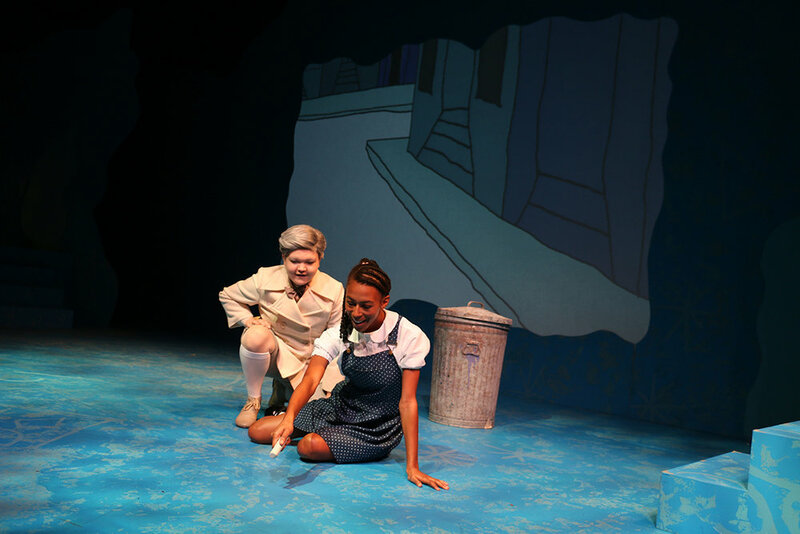 Jane's Mom: Busy and productive, does not understand Jane’s fascination with the imagination. Najha Kay Forbey (Jane/Scientist) is a recent graduate of Western Carolina University, where she studied Musical Theatre. Some of her favorite roles include Mazeppa in Gypsy, Esther in Intimate Apparel, and Mary Magdalene in Jesus Christ Superstar. She is excited to be a part of Riverside Theatre this year! Shivam Patel (Ruffs/Priest) is from Rock Hill, South Carolina. He is a Musical Theatre graduate from Winthrop University. He is ecstatic to be working with Riverside Theatre as a Performance Apprentice for the upcoming year! Some of his favorite performances include Grace for President (Sam), Into the Woods (Cinderella’s Prince), The Seagull (Treplev), and Bare: A Pop Opera (Matt Lloyd). 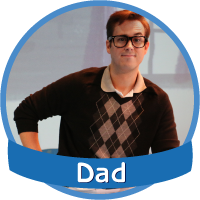 Chris Robertson (Vinny/Dragon/Dad) is a Jacksonville University graduate with a BFA in Music Theater. He is excited to be part of the Riverside Performing Arts team as a Performance Apprentice. Chris also studied musical theater in high school at Douglas Anderson School of the Arts and in middle school at Lavilla School of the Arts. Some of his favorite past performances include: Sweeney Todd, Next to Normal, Parade, Les Miserables, and Into the Woods. Alissa Walker (Mews/Officer Vitale/Son) is from Bucks County, Pennsylvania. A recent Musical Theatre graduate from Indiana University of Pennsylvania, Ali’s past credits include: The Pajama Game (Mae), The 25th Annual... (Schwartzy), Das Barbecü (Actor 3), and Boeing Boeing (Asst. Director). She is thrilled to be working at Riverside Theatre alongside her fellow apprentices! Kimmy Zerega (Leo) is so excited to be back at Riverside Theatre as a Performance Apprentice! A Vero Beach native, she grew up participating in shows and classes at Riverside Children’s Theatre. Kimmy is a recent graduate of Elon University where she received her BFA in Acting. Her favorite roles include: Essie (You Can’t Take it With You), Minnie (The Wreck on the 5:25), and Barbarina (Le Nozze di Figaro). She would like to thank her family and friends for their never ending support and encouragement!